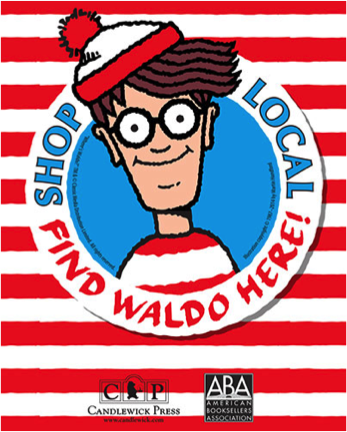 To celebrate the annual month-long, neighborhood-wide scavenger hunt for Waldo, we'll be hosting an afternoon Where's Waldo party with games, prizes, and a visit from Waldo! The party will be hosted by Miss Sophie! Pick up your passports at Women & Children First anytime after July 1st and then begin searching for Waldo at participating Andersonville businesses (*full list below*). When you find Waldo in each business, get your passport stamped at that business. Be sure to bring your stamped passport to Women & Children First on Saturday, July 21st at 3 p.m. for the Waldo Party with snacks, games, and activities! Participants with passports that have ten stamps or more will be entered into a raffle for fantastical prizes, many of which have been donated by local businesses. Prize winners must be in attendance to win! See you there!